Singing a new tune with a lovely playful disposition is Shy Carlos. She's the newest star now in a lead role as Tasya Fantasya based on the work of Direk Carlo J. Caparas which was originally played by Kris Aquino and also Yasmien Kurdi on GMA. 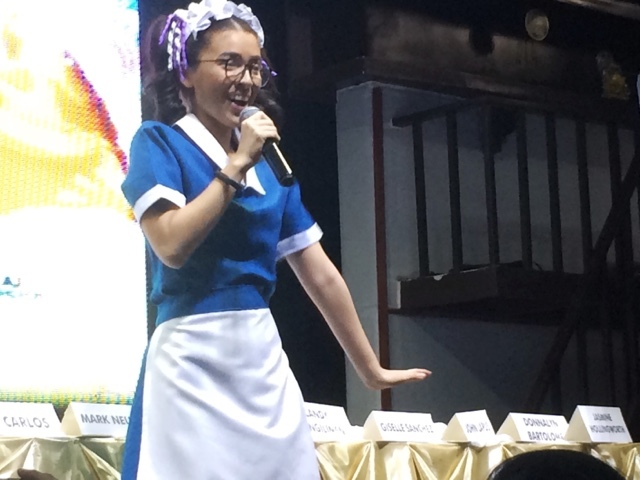 Now that the story is on the TV5's stable, it's going to be a bit more funnier because when we saw her doing the character on stage, she was really into it. 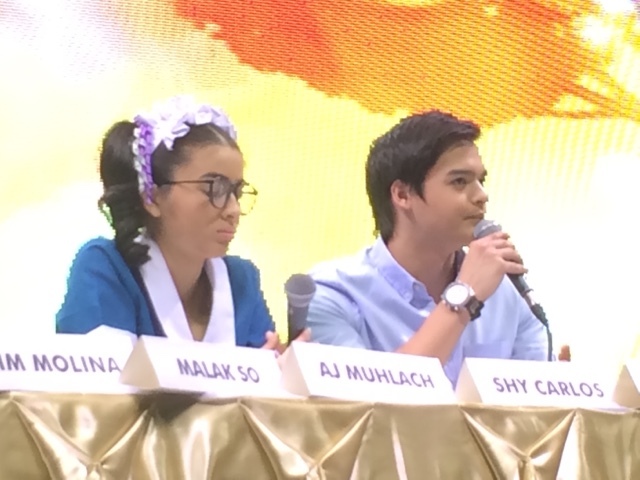 Add to that AJ Mulach and Mark Neumann who's going to be her leading men in the show, this will also have a romantic spin between her fantacized man and the best friend who wanted to be her boyfriend. Mark says "At first it's physical, but later on it's the personality that is important for me. 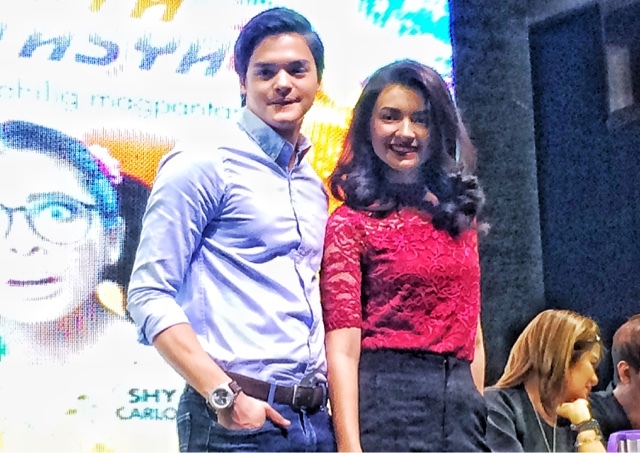 Well if they want us to, we can try to be TV5's premier love team. She's nice and easy to talk to, really approachable which I really like about her. I am so thankful that even if I didn't win Artista Academy, the work I do everyday, I always am thankful for it that I do pour in my passion in everything that I do." "Since it's my first time to work with him, we're going to work on our chemistry because we need that in work. I want to be happy and contented before I go into a relationship. If I'm not gonna be loved, I'm not gonna get hurt because it's not the thing that would complete me. People would think he's not that approachable but he makes everything light. I'm also proud of Nadine and seeing her acheive so many things I'm so happy for her. We started in commercials and we dreamed of this since the beginning, I'm just so happy for her. I choose schedules in school that would not be conflicting with work so I have time for that. I'm taking AB Consular Affairs in Benilde and I hope I can finish soon." 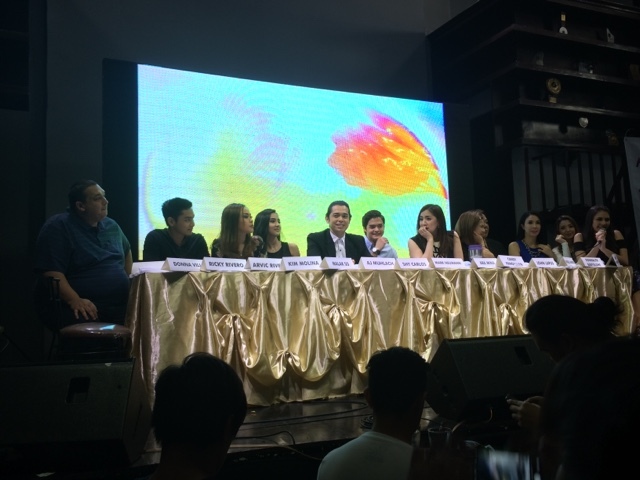 The show also stars Donnalyn Bartolome, Kim Molina, Malak So, AJ Mulach, Ara Mina, Candy Pangilinan, Giselle Sanchez, John Lapus and Jasmine Hollingworth. 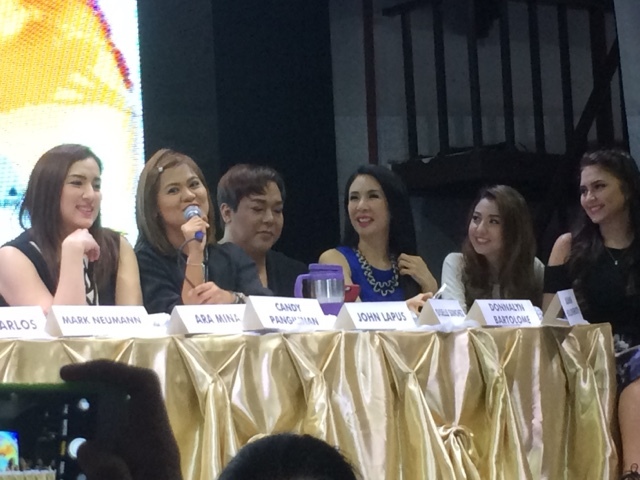 Also present in the presscon were Boss Vic Del Rosario, Veronique Del Rosario and Viva Executives. It's going to start on February 6, 2016 8PM and will be done every Saturday after that. This is produced by Viva too.